Established in 2011, Kraken is one of the oldest and most famous cryptocurrency exchange services in operation. Kraken has developed a decent image as being a secure destination for anyone who wants to trade cryptocurrencies and it is also a favorite choice for individual and institutional traders across a diversity of locations. This exchange preserves an international appeal and provides adequate trading opportunities in many fiat currencies. Also, in terms of Bitcoin to Euro trading volumes, Kraken is the current world leader. 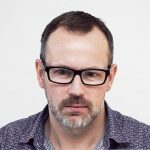 Current CEO Jesse Powell founded Kraken in July 2011, and the exchange officially began offering its services to the public in September 2013. 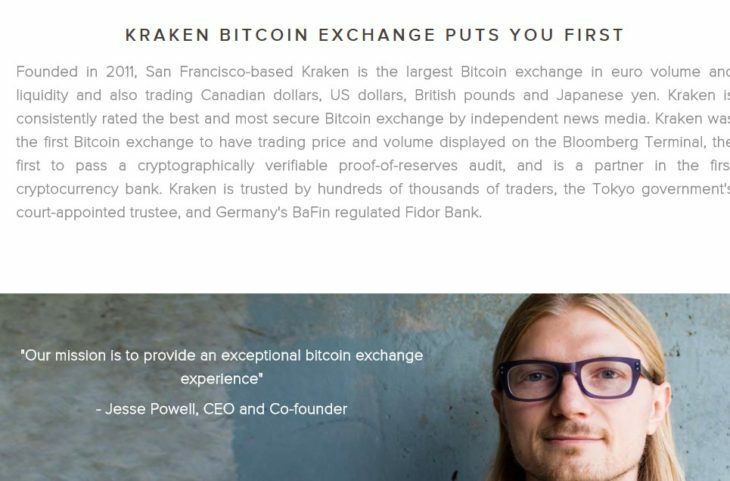 Based in San Francisco, Kraken has some distinguished achievements to boast of with 2014 proving to be crucial for Kraken as it became the number one crypto exchange by Euro trade volume, founded the first verifiable cryptographic proof of resources audit system and also made the Bloomberg Terminal list within the same year. As previously mentioned, Kraken is one of the most popular international exchange services and is available to US, Canada, Japan residents, as well as residents of various European nations. Kraken also outperforms its competition by dealing with various fiat currencies such as the USD, CAD, JPY, EUR, and GBP. One of the main reason for the company’s excellent reputation that it has been resilient to security breaches and also as it was chosen as the platform by which investors on the Mt.Gox exchange could get their claims. The administration team of Mt. Gox chose Kraken as a reliable partner to help expedite payments to its creditors after it filed for bankruptcy protection. Kraken also runs a dark pool, which is a private securities exchange that lets large financial institutions and individuals with high net worth make anonymous trades. Setting up an account on Kraken is easy and straightforward. All you have to do is click on “create an account,” and you will be taken to a page where you will be required to enter your name, email address, and password. Note that any password you decide to use must be at least eight characters in length and must be a mixture of letters, numbers, and special characters. Upload a copy of your ID. To verify your account, you are asked to upload any government-issued identification document and a proof of residence. Residents of the US are required to give their Social Security Number; while residents of countries like Germany or Japan need additional identity confirmation. You can upload your documents under the “Get Verified” section of your Kraken account and the verification time is dependent on the number of applications that were submitted at that period and can take a few days or more than a week. Make sure to set up Two-Factor Authentication (2FA) which gives a secondary layer of security to your trading account. Once you are done with these, you can move onto funding your trading account. Add the bank account that you will make transfers to and from; bank wire and transfers are the only accepted deposit fund method. Regarding the trading platform, Kraken has historically been deemed to be good but not without room for growth. The exchange has been known to encounter difficulties at times when traffic and order volumes become very high. However, Kraken released a full update to its trading platform earlier this year. This new update is set to improve both usability and solve the problem of site crashes at peak trading times. Kraken is most renowned for its Bitcoin and Ethereum to cash markets; nevertheless, a myriad of both fiat and cryptocurrencies are tradable on the platform. Famous digital assets like Tether (USDT), Bitcoin and Ethereum (ETH) are offered as well as currencies such as Bitcoin Cash (BCH), tellar/Lumens (XLM), Ethereum Classic (ETC), Monero (XMR), Dash (DASH), Litecoin (LTC), Ripple (XRP), SAugur REP tokens (REP), Dogecoin (XDG), Gnosis (GNO), ICONOMI (ICN), Melon (MLN), Zcash (ZEC), and EOS (EOS). Kraken offers margin trading, but it only limited to these currency pairs: XBT/EUR, XBT/USD, ETC/EUR, REP/XBT, REP/ETH, ETH/XBT, ETH/USD, ETH/EUR, ETC/XBT, ETC/ETH, ETC/USD, REP/EUR. Bitcoin is commonly represented with BTC; however, Kraken assigns an abbreviation of XBT to Bitcoin. To buy bitcoin on Kraken, make sure you upgrade your account to at least Tier 2. Make a SEPA/IBAN transfer to your Krakens account. To do this, go to your account dashboard, click on “deposit,” then click on Euro (EUR), then Fidor Bank AG (SEPA). After the funds have been deposited to your Kraken account, which usually takes one banking day, you can exchange those Fiat currencies into bitcoin. Click New order and then Order book, to view currency Buyers/Sellers prices. Then click “Market” next to the box named “Price” to switch into buying for the best possible price before someone else fill your order. Enter the amount of bitcoin you want to purchase in the “Amount XBT” box. Click on the “Buy XBT with EUR,” button and you will be redirected to review your order in the next window. After filling everything correctly, click Submit Order, and you’ve just bought bitcoin! Kraken fees can be broken down into those concerning making deposits and withdrawals (covered in the “Deposit and Withdrawal” section of this review) and those incurred during trading. Trading fees are tiered and therefore reduces as the trading volumes increase and also differ between what currency pair used in trading and the kind of trading, that is, Standard, margin-based, etc. Overall, trades which are below 50,000 in volume of your particular currency, incur a maker fee of 0.16% and a taker fee of 0.26%, while for trading volumes higher than 50,000, the fees drop to 0.14% and 0.24%. Kraken offers round-the-clock customer support through online chat and email, though no telephone number is provided on the platform. Feedback about the customer service is not great and considered an area Kraken could do most to improve on, with the time required to get a response the most frequently criticized element. Kraken was established in 2011 and has been in operation longer than Coinbase and Gemini, which are its main competitors. As a result, this exchange has spent many years creating a reputable name among members of the cryptocurrency space. Kraken is now seen as being one of the most reliable crypto exchange by many international crypto investors. The company provides a secure trading platform and operates a fee structure lower than that of Coinbase. Kraken also appeals to both individual and institution investors and gives access to a vast, comprehensive trading platform. For users with an average understanding of how to trade digital assets, limit orders, as well as advanced orders with in-built triggers, leveraged positions, margin trading, and short selling are all available on the platform. Contrary to the above-mentioned, a quick research reveals an extraordinary amount of unfavorable criticism surrounding this US-based exchange. Widespread complaints include high withdrawal fees and problems with accessibility of funds. While we have not had much of the trading experience with Kraken, we all know that many reviews are written bu traders who might have had unpleasant experience with the service or made reckless trade. Negativity aside however, company has a good regulatory framework and is fully secure and transparent.